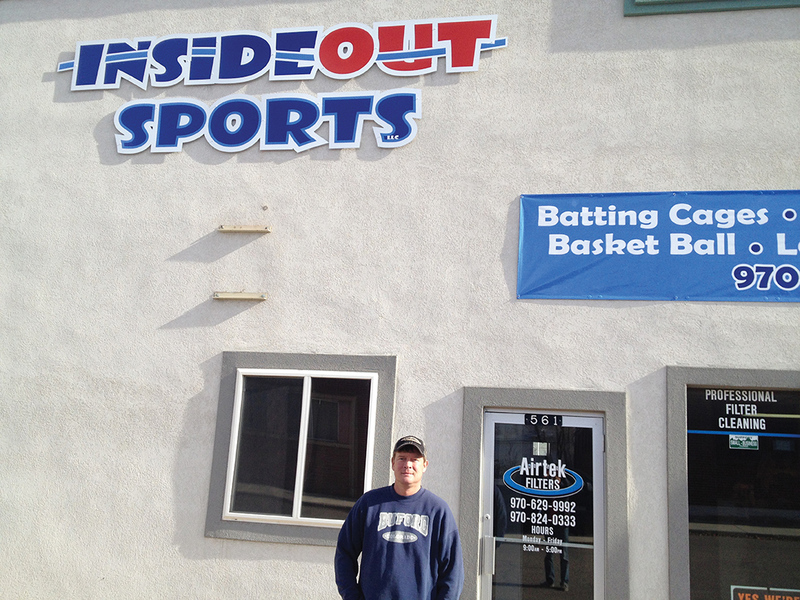 Brad King stands outside his Air-Tek Filters business, where InsideOut Sports also is opening Dec. 1. InsideOut will have an indoor archery range and batting cages, but King hopes to provide more services if the business does well. A new business in Craig hopes to fill a need for residents looking to keep themselves sharp during the winter. Archers and baseball players from Craig can find themselves at a disadvantage when competing against competitors who can practice year-round. Beginning Dec. 1 InsideOut Sports, 561 Russel St., is looking to even the playing field. That’s one reason Brad King is opening the business, which offers Craig residents an indoor archery range and batting cages. But he also thinks it is something many people in Craig will enjoy. King, who also runs Air-Tek Filters, 561 Russel St., has been eyeing the project for some time. He moved into the Russel Street location last February with Air-Tek and now is taking advantage of the length of his building, splitting it in half for the two businesses. InsideOut has two batting cages — one for baseball, and one for softball — both of which simulate the 43-foot distance from the mound to home plate in fast-pitch baseball and softball, and eight archery lanes, which will have 10- and 20-yard lines marked. But King is hoping the business will become much more. King said he eventually would look to install a golfing net and have golf pros come in during the winter so locals can work on their swings and receive instruction during the offseason. Much of those plans depend on the business InsideOut is able to do. King and Marshall are looking to keep prices as low as possible to increase the convenience for their target group: children and teenagers. They will start out charging $10 for the first hour on the archery range and $5 for every additional hour. It will be $10 for each hopper in the batting cages, King said. King also said the business will be open until 9 p.m. and will prioritize safety. Marshall said they will borrow pages out of the 4-H archery team’s book when there are several people using the archery lanes. For more information about InsideOut Sports, call King at 629-9992.